Are You Ready to Leave the Dorms? We personally add each property to the site & guarantee accurate information. Landlords of all sizes use Rent College Pads, so you can compare housing options you didn't even know you had! If you request a showing, our team will make sure that you get it scheduled. 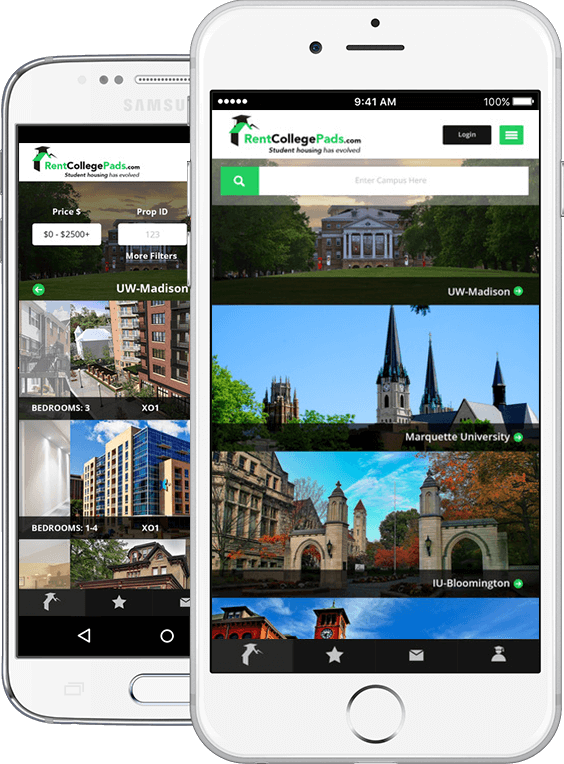 Rent College Pads focuses on helping college students find housing near their campus.